A hospital stay for medical issues, rehabilitation, and then, settling in at home can be a stressful time – for the patient, caregiver, and other family members involved. 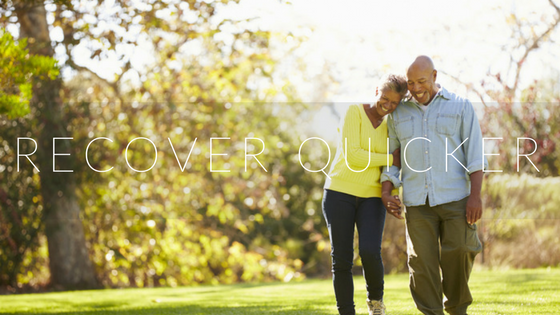 A seamless transition can ensure that you regain good health and get back on your feet in no time. That’s where discharge planning comes in. You’ll be surprised at the many aspects that go into your move from rehab to home and ensuring that all your needs are looked after. At Bridge Care Suites, we can take care of every one of them. Here’s how. When you’re ready to leave rehab, the medical practitioner will come in for a checkup to evaluate recovery and see if you’re ready to go home. One of the key elements of the evaluation involves the medication you’ll need to continue. If you cannot take the medication on your own, the caregiver will receive detailed instructions on the exact dosage, timings, and length of treatment. Following protocols is essential to eliminate the possibility of errors, side effects, and complications. From time to time, you’ll need to come back for check-ups, diagnostic tests, and changes in medications as you regain good health. Discharge planning includes setting up appointments and providing any other information you need. Most patients need physiotherapy or occupational therapy to help them with regaining mobility. Before discharge, your caregiver will receive instructions on the exercises that must be performed and whether you’ll need a visiting therapist. Your doctor will also talk about the length of the therapy, the equipment needed in case you choose to get it at home, and the expected outcomes. If you intend to arrange for nursing care at home, as part of the discharge planning, the rehab facility may put you in touch with the agencies that provide the expert personnel to help you. For instance, you may need wound dressing, help with ventilators and other breathing aids, injections, or catheter and feeding tube care. Yet another aspect of the discharge planning is working out the assistance you’ll need with daily activities. The rehab case worker will discuss your home situation and the extent of help you’ll need in performing chores and caring for you. For instance, if you have a bedroom on the upper floor and cannot navigate stairways, the caregiver might have to work out other arrangements. You may also need help with shopping for grocery and other essentials. Some patients are unable to move on their own and may need help with getting out of bed, using the toilet, eating, laundry, cooking, and transportation. In addition to help with living, medication, and physical therapy, patients need emotional support and companionship. It is not uncommon for seniors to lose their confidence after going through a medical setback and need counseling as a part of their recovery program. Further, patients that have problems with memory or conditions like Alzheimer’s may need round the clock supervision and care. Then again, some patients have hearing or visual disabilities or trouble communicating and may need special attention and help. All these factors are taken into consideration during discharge planning. At Bridge Care Suites, we understand the need for covering every little aspect of the care you’ll need at home. We also understand that your family caregivers might have limitations of their own such as financial, work, child care, commuting, or even, health issues. When planning your discharge, we’ll make sure to work around all these limitations to ensure that you get the best of care possible and avoid the chances of relapses and re-hospitalization.